Cause of the Hum Different assumptions about the source of the hum (heating of buildings, industrial plants in the neighbourhood, individual ear problem, wrong nutrition, military experiments…) have so far not been confirmed. 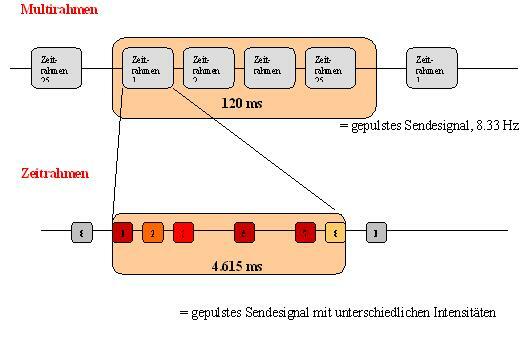 Latest research in Germany points to mobile communication radio waves (base station antennas) as source of the hum. The hum is not caused by the cell phones themselves but by the emissions of the basis stations (antennas) transported over the air interface. The low frequent pulsing and modulations of the signals lead to acoustic resonance in buildings. Beyond ear perception, the radiation is also otherwise physically noticed by humans. ELF frequencies in mobile communication technology as cause of the hum? Many people are not aware of the fact that – besides RF frequencies – also low frequencies (ELF frequencies) play an important role in mobile communication technology. This is not only the case with regard to the cell phones (as has been focussed in most publications), but also with regard to the so called “base stations”. Low frequencies are used in two techniques: in signal pulsing and in wave modulation. Signal pulsing Pulsing means that the signal is periodically interrupted. This interruption plays an important role in GSM. 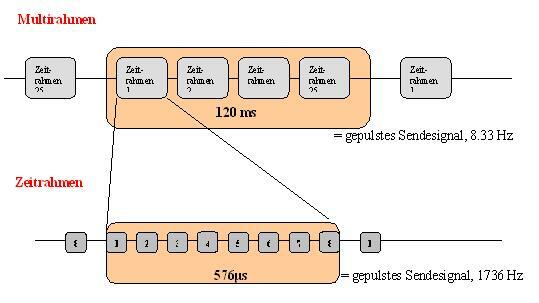 GSM works with 8 time slots of 576 μs that are combined to a time frame of 4.615 ms. The time frames are interrupted by short pauses. The result is a pulsed signal of 1736 Hz. The time slots themselves are combined to a so called “multi frame”. A multi frame comprises of 25 time frames plus a pause (i.e. 26 time frames). The result is a pulsed signal of 8.33 Hz, i.e. with a periodicity of 120 ms. These signals are sent by each basis station 24h a day on the Broadcast Channel (BCCH). The broadcast channel is an organizational channel that indicates the existence of the base station and therefore is always run with full power. Through the broadcast channel, 7 calls can be transmitted at the same time. When more than 7 callers use the base station, another channel is added. Each call is then transmitted over one of the 8 time slots. One call results in a pulsed signal with a periodicity of 217 Hz (fig.2). According to the number of calls, additional channels add to the emissions of the base station. Unlike the broadcast channel, the other channels adapt their emissions to the actual needs. Each channel is regulated seperately. 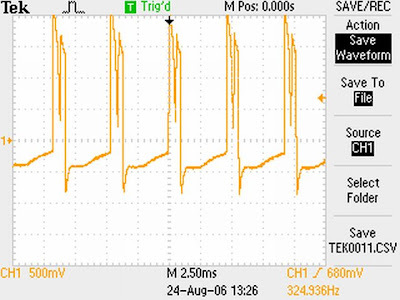 The result is an irregularly pulsed signal (fig. 3). Overlapping frequencies reinforce each other. Low frequency modulation In mobile communication technology, low frequencies are also used to optimize signal transmission. Modulation means that the main signal is mixed with another frequency (carrier frequency) that serves as transportation medium. There are several types of modulation. In mobile communication technology, especially digital modulation is used. The methods comprise simple OOK (onkey-offkey) modulation, audio frequency shift keying (AFSK), phase shift keying (PSK), pulse-amplitude modulation (PAM), pulse frequency modulation, pulse code modulation and many others. According to the coding options they offer, several subtypes are distiguished (e.g. 4PSK, 8PSK etc.). A modulation type which is very often used in mobile communication technology is the so called TDMA modulation (time division multiple access) which uses a frequency of about 50 Hz. Low frequency modulation in the range of 5 to 20 Hz is also used for power regulation with regard to moving cellular phones. Warning by the European Parliament Already in 2001, the European Parliament warned against the use of ELF frequencies present not only in the so called handset but also in the emissions of the antenna.of mobile base stations. (i) the fact that electromagnetic fields are not alien to living organisms, but play a crucial role in controlling and maintaining their orderly functions – i.e. that a living organism is an electromagnetc instrument of great and exquisite sensitivity. (iii) The presence of ELF features both in the microwave pulses emitted by the antenna of a mobile phone and in the (much more penetrating) magnetic field associated with the surges of Electric current from the battery of the handset, which are necessary for the generaion of the microwave pulses. for the 217Hz noise, I ended up capturing some vivid patterns on the scope. These too were captured while the cellphone was on an active call. The Hum noise pollution is caused by Smart Meters….Since 2006 , citizens are tortured 24/7 by this noise! The timeline also is aligned with the demise of our bats, bees and birds. The radiation/noise emissions impacts their navigation capabilities. Read the H.E.S.E. report on the impact EMR noise pollution has had on our wildlife. No one including wildlife is safe from RF pulsed radiation exposure…. Beginning in 2006, DTE ceased to install analog meters. This picture shows a commonly installed digital meter found in Michigan. We have measured the amount of dirty electricity (voltage transients and harmonics) generated by this meter in one home and have found that it does not generate the same dirty electricity associated with smart meters. We don’t know if this is the case for all these meters, but we think it likely is, probably because it does not collect the same fine-grained usage data as a smart meter. 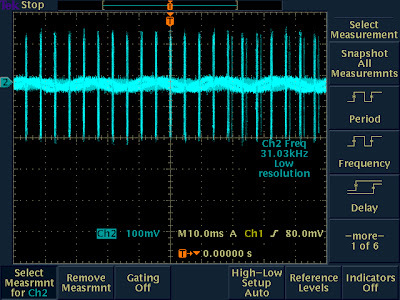 If engineers actually bothered to measure the voltage transients and harmonic generated by digital meters, we could give you a more definitive answer. If you think you have one of these meters, you may want to keep it instead of getting a new smart meter! The best thing to do is buy a Stetzer meter or a Trifield meter (or both) and measure the amount of line noise and the strength of the magnetic field in your home. The Stetzer meter will measure the line noise (dirty electricity). The Trifield meter will measure the magnetic field and how much it fluctuates. A needle that fluctuates a lot means there is a very unstable, erratically pulsing magnetic field. Pulsing electromagnetic fields are very harmful to human health. To know whether you have this meter, look at the picture. On the meter you will see: CL200 240V 3W TYPE C1S 30TA 1.0Kh. 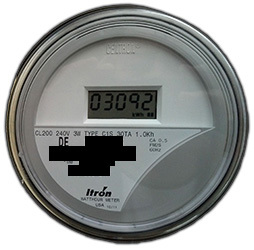 This meter is a digital meter that is capable of being converted to a smart meter by the addition of a “personality” module. We have measured the voltage transients and harmonics (dirty electricity / line noise) and magnetic fields generated by this meter. This meter is almost as bad as the smart meter. A woman who lives in a home with this meter has had her health severely affected by it, nearly as severely as by the smart meter that was previously installed on her home. Two other electrosensitive people who have gone to this home have also experienced severe problems. For a list of the health effects experienced by people when exposed to this meter, click here. Also read Rebecca’s story, Cynthia’s story, and Linda’s story for more detailed information. The woman who (tries) to live in this home spends most of her time travelling in order to avoid the degrading effects of this meter on her body. The digital meter (see previous entry) that looks similar to the CL200 C1S does not seem to generate the dirty electricity that the CL200 C1S does, probably because it is not measuring electricity usage in detail. The analog meter does not involve any electronics. Thus it does not create dirty electricity / noise on the line. However, note that some meters that look like analog meters actually have hidden transmitters. More on that in the next section. The “clock” dials on the meter indicate how much electricity you have consumed. Below the dials is a large rotating disk that spins faster as you use more energy on your property. 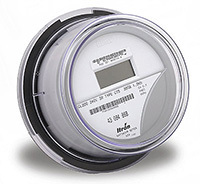 The spinning of the disk (a mechanical movement) is how the meter measures your electrical usage. 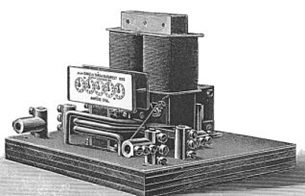 This is a picture of the analog meter (electromechanical meter) that, in similar form, has been used since 1889! DTE insiders tell us that the utility still has analog meters that were installed in the 1950s—that’s 60-plus years of accurate energy measurement. Note that there are now meters being made that have the dials on them (they look like analog meters) but actually record digitally. To our knowledge, none of these meters are being installed in Michigan. If you do not have an analog meter and want one on your home, you can consider replacing your meter. Some meters look like analog meters (and are in one sense analogs), but they have a hidden transmitter in them. These are the meters that have been installed by most rural electric cooperatives in Michigan, as well as some of the privately owned utilities. It is possible that some homes in DTE and Consumers territory also have these meters. These meters are discussed here and below, under Meters for Other Michigan Utilities. They include AMR, PLC, BPL, and TWACs. Hearing of microwave pulses by humans and animals: effects, mechanism, and thresholds. When electrical signals travel along a wire, that wire will radiate the signals into the air. This can sometimes make electronic equipment malfunction, which is referred to as Electromagnetic Interference (EMI). The engineering specialty that deals with these kinds of problems is called EMC (Electromagnetic Compatibility). 1, 2,3Cables intended for data communication such as coax, telephone wires and twisted-pair are all designed to limit the antenna effect. The electrical wires inside a house and along the street were not designed this way, as they were never intended to carry communication signals. It is even common for wires on poles to be separated from each other, which enhances the antenna effect. The miles of electrical wires in a neighborhood can act as a very large antenna.